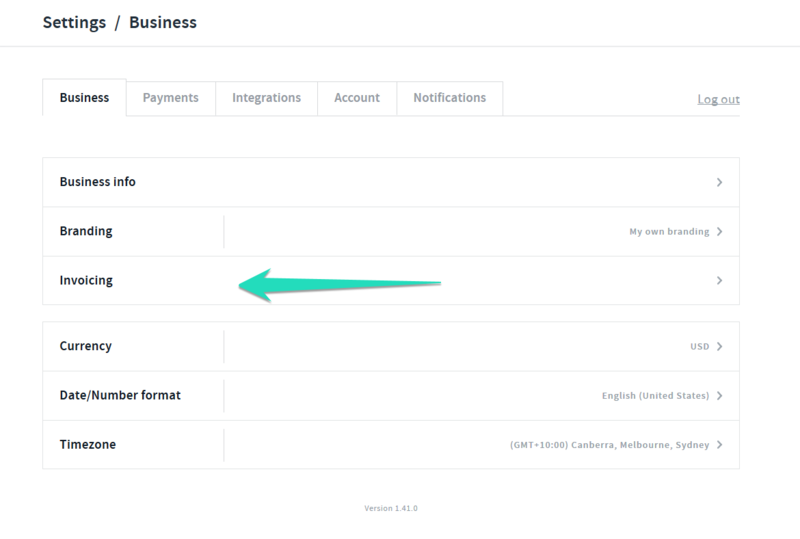 With AND CO you can add your Business/Tax Identification Number by simply adding it to the default invoicing settings, this way it will prepopulate onto each invoice you create. In the Notes and Alternative Instructions section enter in the details of your business/tax ID and select update to save your default settings. Once updated and saved these details will prepopulate on invoices moving forward. 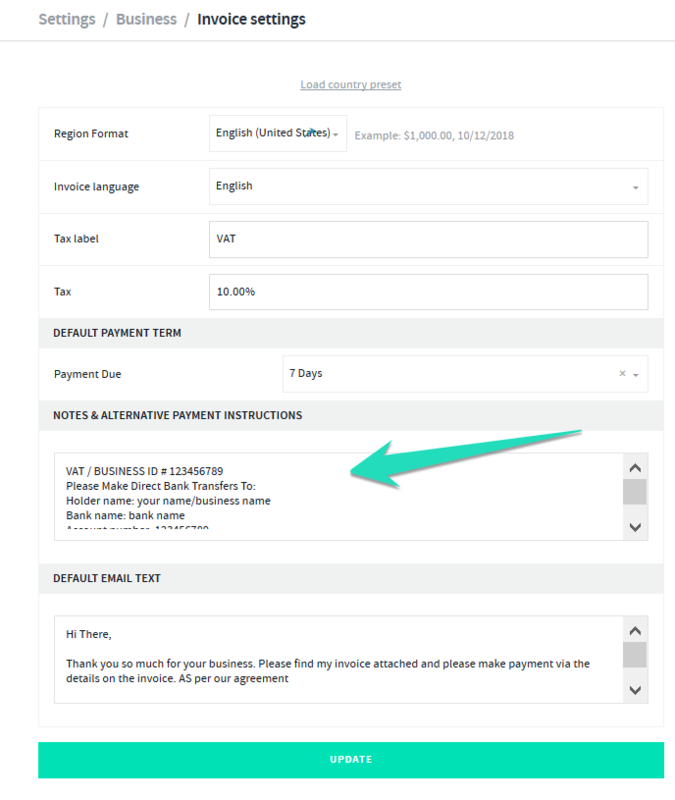 You can also edit each invoice individually by selecting the invoice> edit and editing the notes and alternative instructions field directly on an invoice.